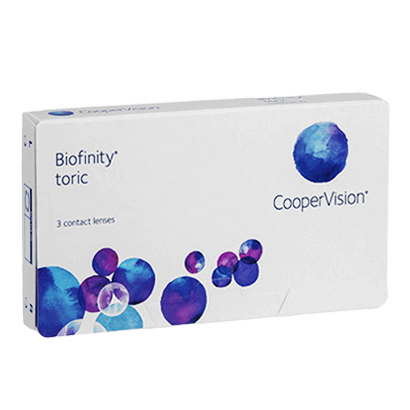 Biofinity Toric lenses by CooperVision are the perfect solution for astigmatism. 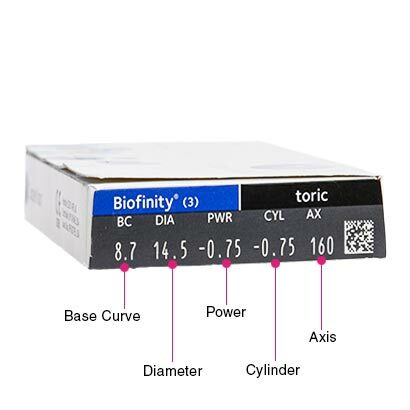 If you suffer from eye strain, headache or blurred vision due to your astigmatism, Biofinity Toric can deliver stable and clear vision. These lenses are designed in a way, that they are able to give you clear vision without any distortion. These lenses are extremely comfortable, and retain a stable position in the eye, without coming loose during movement. The optimised lens geometry of these toric lenses ensures that you enjoy comfortable visual clarity as long as you are wearing them. The monthly contact lenses are highly comfortable, as they are equipped with Aquaform Technology that allows the lenses to maintain their softness, moisture, and flexibility throughout the month. They also give your eyes an adequate supply of oxygen to keep them feeling fresh and healthy. These lenses are made up of silicone hydrogel that provides long-lasting comfort. The lenses need to be cleaned using solution and stored in a case on a nightly basis to ensure hygiene and to maintain their softness. 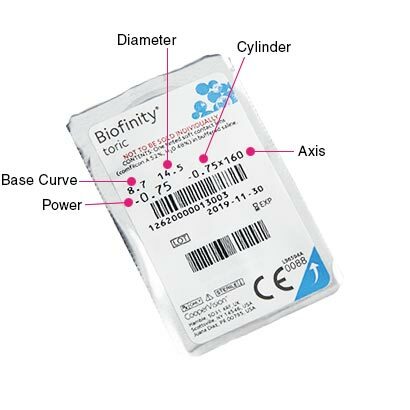 Biofinity Toric lenses also offer extended wear, which means you have the freedom to wear these lenses for up to a week, both day and night, making them an ideal pick for those who have a hectic schedule. It’s advised, however, to first consult your optician to be sure if extended wear is suitable for your eyes. Air Optix for Astigmatism are recommended as alternative contact lenses to Biofinity Toric.